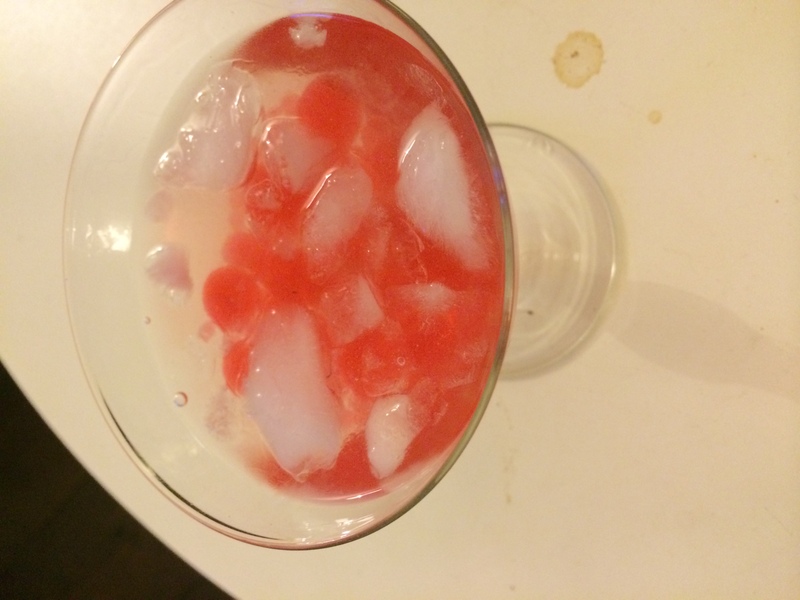 Now, generally, I like my cocktails minimal. Gin and the merest suggestion of olive brine, for example. Or the perfect storm of gin, Campari and red vermouth that makes up a negroni. I don’t want any funny business. 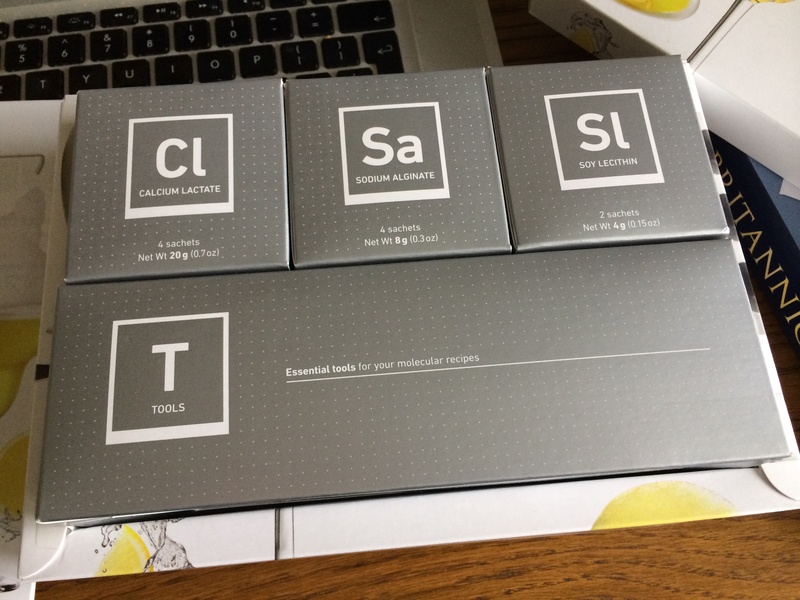 But then I got sent a molecular mixology kit. Well. This is what happened. It’s like a photo-love story without the snogging. We (four of us) arrived home from an all-day beer festival (you can see where this is going), and opened the box. We then stared at the instructions for quite some time, trying to concentrate. 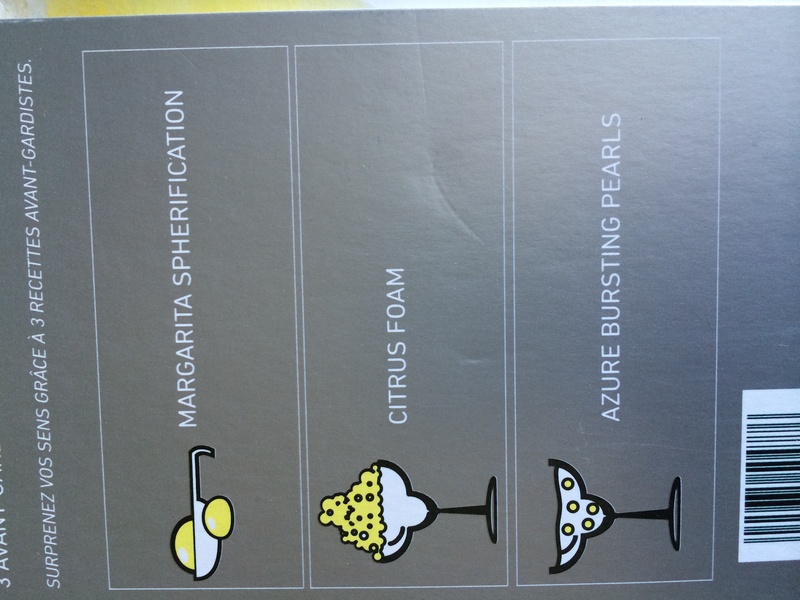 Eventually, we settled on making the margarita with ‘azure bursting pearls’ because we were a bit confused by what a ‘margarita spherification’ might be. Meanwhile, we drank a bottle of prosecco. However, it quickly emerged that we didn’t have any blue curacao, so I helpfully offered to dye some Contrieau blue (total disclosure: it was a dodgy Spanish fake called ‘Orangeau’). 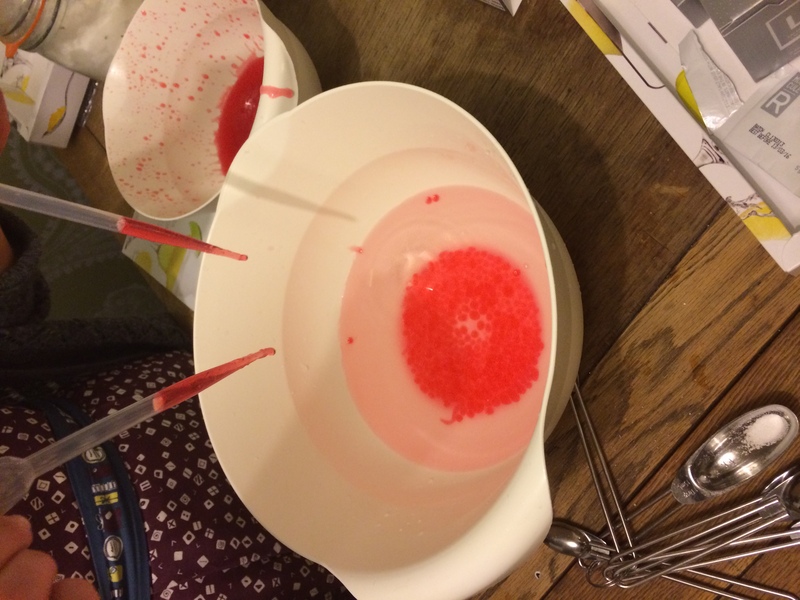 Except I didn’t have any blue food colouring, so we had to settle for red. J (names changed to preserve dignity) got to work with a hand-blender and a sachet of powder, and soon my wallpaper was splattered with red jelly blobs. We drank a bottle of wine while we waited. 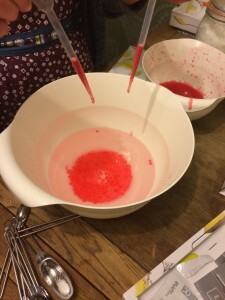 Once the red Orangeau had set, we set about making the pearls with the pipettes provided. This, initially, we left to J, but soon we felt that we couldn’t resist joining in. This got fairly competitive. We drank another bottle of wine. 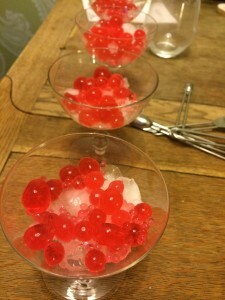 Finally, we deemed the quantity of red pearls to be acceptable. 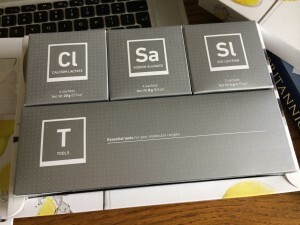 I got a bit obsessed with the slotted teaspoon that comes with the kit – it is quite the best thing for squeezing teabags I’ve ever seen. J set about making the cocktail. He put the pearls in the bottom of the glass. 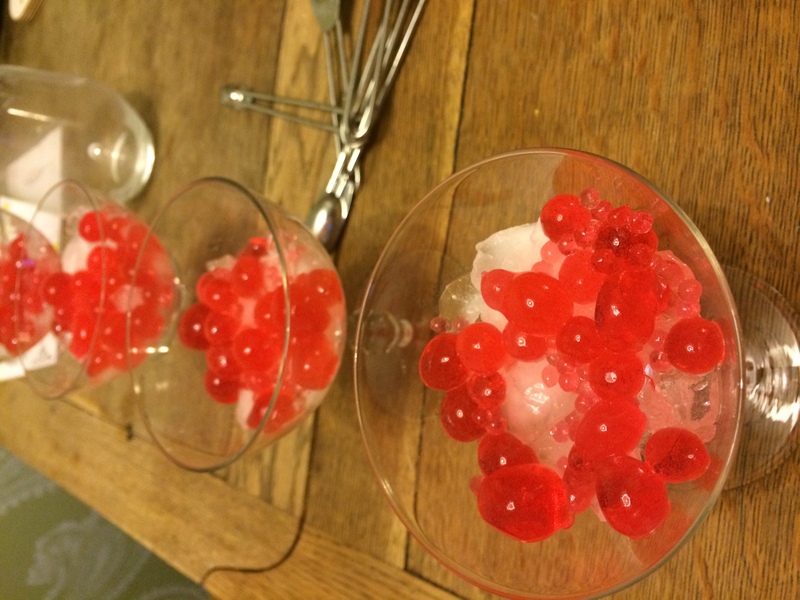 We debated whether they looked like fish eggs or blood clots. 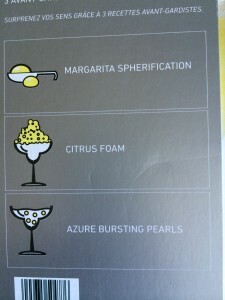 Then, he mixed the margarita. 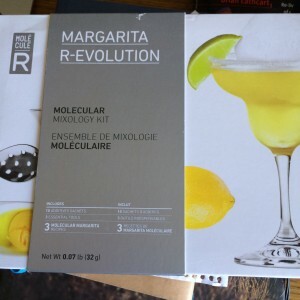 From where I was sitting, this seemed to involve sloshing some tequila into the glass, topping it up with vodka, and then making a minute gesture towards all four glasses with half a lime. 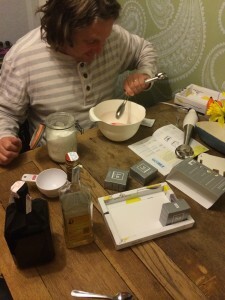 J swore blind that he was following the recipe to the letter. By this point, I was beginning to feel weird about the red balls. ‘I feel weird about the red balls,’ I said, over and over again. I thought this was hilarious. 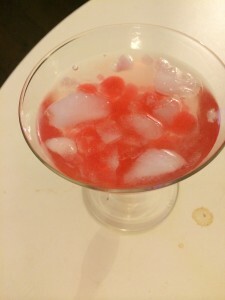 The resulting cocktail was kind of like rubbing alcohol with little chewy bits in it. I kept mis-handling the spheres and ending up snorting and dribbling quite a lot. Three of us agreed that a touch more lime would make it all a bit less terrifying. J remained stoically supportive of his original recipe. I began to wonder if I shouldn’t start taking paracetamol now, ready for tomorrow morning. It was, basically, the most fun EVER. It kept us all occupied for a whole evening, falling somewhere between a high-stakes drinking game and a craft activity. 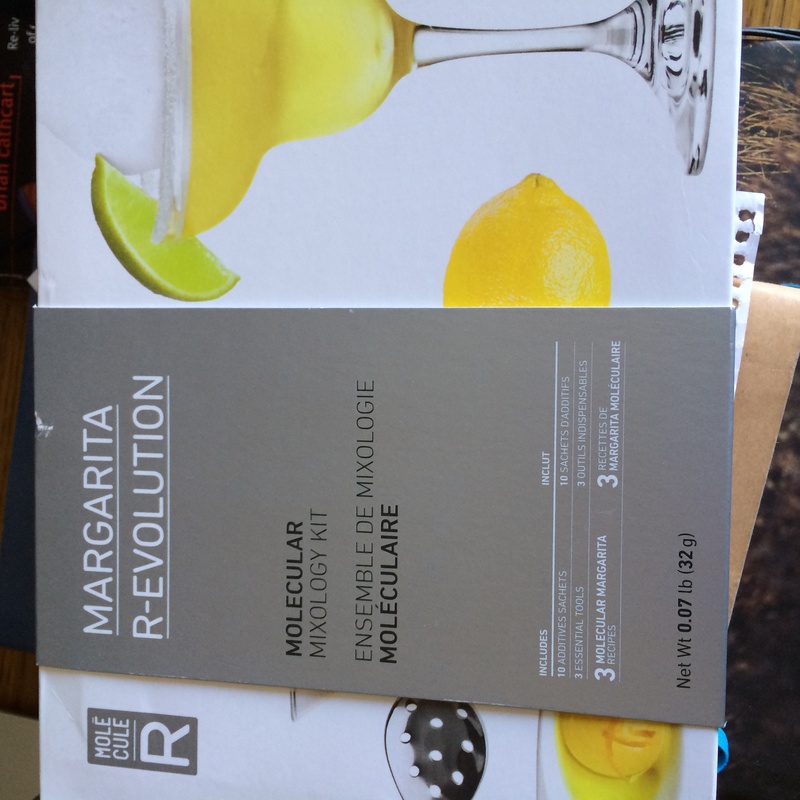 You can buy the Molecular Mixology kits here – thanks to Cheeky Monkey for sending me one!